But it can also be a place of redemption. 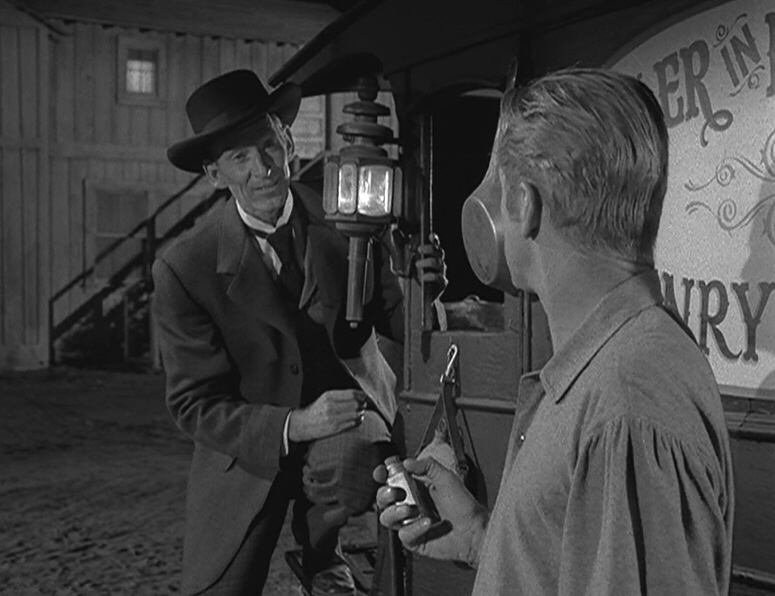 Ask Al Denton (Dan Duryea) — a resident of the Old West who, we learn in “Mr. Denton on Doomsday,” has “begun his dying early.” He’s also a man destined to take a special place in Rod Serling’s pantheon of broken heroes. A former fast gun, Denton has devolved into the town drunk. 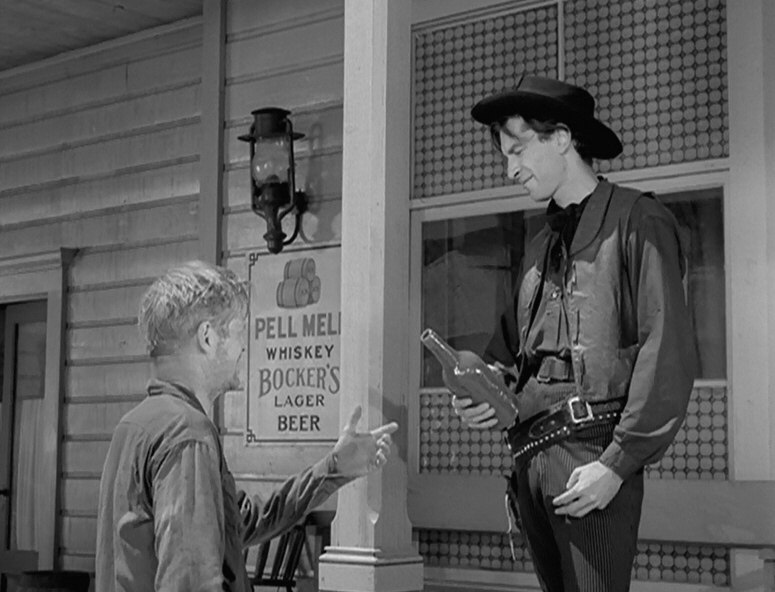 He’s so pathetic that he lets the local bully (played with relish by Martin Landau in the first of two Zone roles) regularly push him into singing “How Dry I Am” just to get a free shot of whiskey. Say you’re a scriptwriter, and you’re asking yourself: What’s the best way to improve race relations? However important the question is now, it was even more crucial in 1960, when The Twilight Zone was still new to the airwaves and Jim Crow laws, discrimination and segregation were, shamefully, still the order of the day in much of the U.S.
One obvious answer: Write about the problem. Illustrate the ugly face of racism. Nervous producers didn’t like it one bit, but Rod Serling took this route when he based the pre-Zone teleplay “A Town Has Turned to Dust” on the Emmett Till case. The results, in the right hands, make quite a mark. 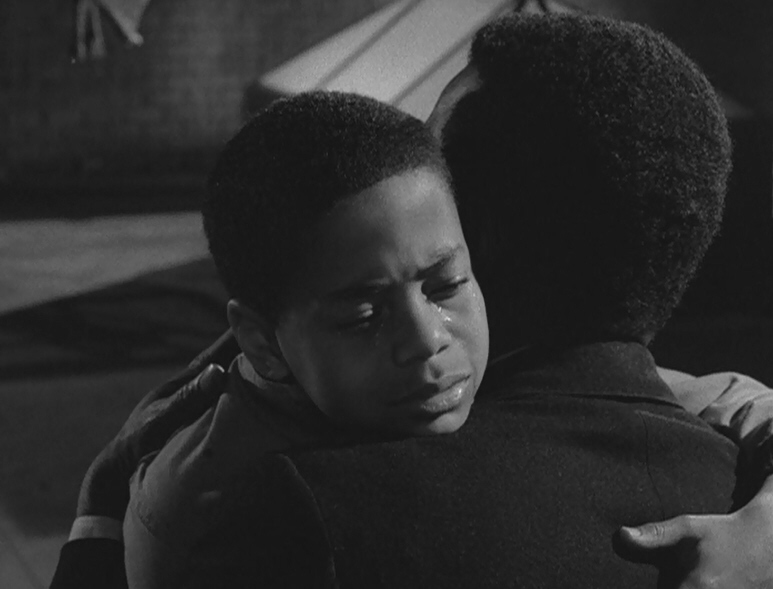 But there’s another way to improve race relations, one that Serling also tried when he wrote “The Big Tall Wish” for TZ’s first season.